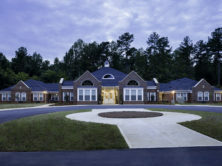 The 10,000-square foot home provides single pregnant college women the option of continuing their education while having their babies in a caring and supportive environment before, during and after their pregnancy. 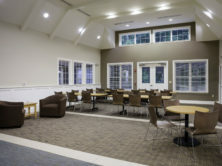 The new facility contains two residential wings – one for maternity and one for after-care. 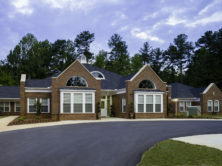 Each mother has a private bedroom and bathroom and shares a kitchen, dining room and laundry room with other residents. 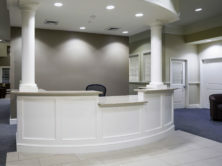 Administrative and counseling offices and quarters for residential managers are also located on site.